*47% less sugar when compared to Barker&apos;s Lemon, Honey & Ginger fruit syrup. Ive got great memories of growing up with a laundry stacked with home brewed ginger beer bottles that every once in a while would explode and smash every where. Ginger beer is definitely one of those precious child hood memories that brings back feelings of warmth and comfort. Just the smell of this Barkers brewed ginger beer took me right back to my childhood. I love that this syrup is bottled in a glass bottle. It does have sugar in it but its liteness comes from using natural sweeteners. I liked that there were no artificial sweeteners and this has 47% less sugar than a traditional Barkers syrup. This is a soda syrup and as such it is very sweet. Adding it to soda at a proportion of six to one diluted the sweetness but also the flavour of the ginger. We used our soda stream and I really liked adding this to my sparkling water in the evenings as it gave a nice refreshing drink. Not so much my girls though. They didn&apos;t like this at all and actually preferred just plain fizzy water. We then tried it as a mix and it was nice mixed with pineapple juice as well. My miss 11 however liked adding this just to plain still water and managed to find an amount that seemed to work for her taste buds. I would definitely buy this again and liked that price as well as the fact that the glass bottle is recyclable. This is definitely a great product and I can definitely recommend it either straight with soda and as a mixer . We&apos;re planning to try new combinations over summer. Some of my most favourite memories as a child growing up are of making ginger beer with my step dad. Starting with making a ginger beer bug and then the process of adding to it etc before making the actual ginger beer and bottling it. We did this every year for as long as I can remember, and I have been a fan of the drink for as long as I can remember and I have tried many different brands of it since those early childhood days. 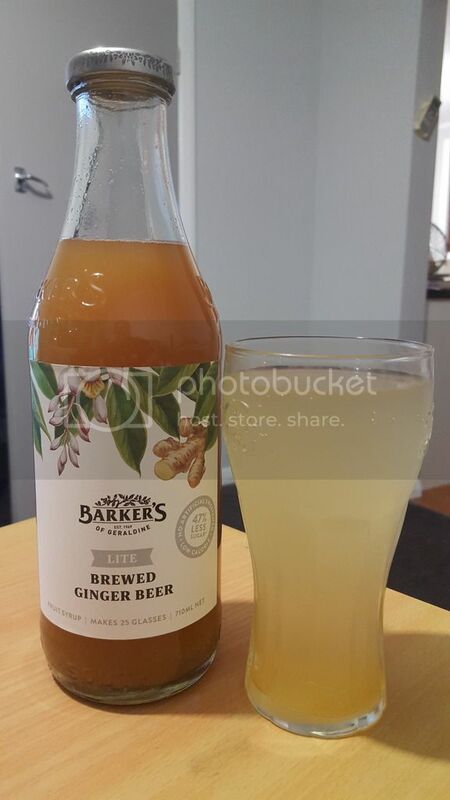 I received a bottle of Barker&apos;s lite brewed ginger beer to review recently. Before actually reading the label I had assumed that you added it to water like with any cordial type drinks, and with this thought I kind of delayed the actual trying of this. Ginger beer should have a fizz to it and the thought of it being a flat type drink was a little hard to comprehend, and I had considered using the soda stream maker to make it. Then I read the label...It never occurred to me that you could add the ginger beer syrup to soda lol. So it is easy to make, give the bottle a good shake up and then add 1 part ginger beer to 6 parts of soda and that is it. Unfortunately for me, I found this to be way too sweet. It needed a stronger ginger flavour, but adding any more of the syrup to the soda would, in my opinion, make it even sweeter. As I was unable to finish the glass I had made I called out my 2 children that do like ginger beer to try it out. My 10 year old said she did not like it, like me she found it to be too sweet. She is not a big fan of sweet stuff though so I was not really surprised at her verdict. My teen son, however, loved it. He said it was really good, not too fizzy and just right for him, and as such he was really happy to be given the whole bottle all to himself lol. So although we were not overly impressed with this particular flavour we still love Barkers products. Barker&apos;s Ginger Beer - Lite - let&apos;s face it Barker&apos;s is becoming an iconic NZ brand that can do no wrong. Barker&apos;s products are among the best in each and every way. 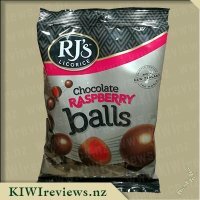 They are made from NZ produce in New Zealand so there are no worries or concerns about what the country of origin is or where the profits are being contributed to. This came to our home in the middle of winter illness, what better a way to try it than on the aged hubby, myself and two young children. Master 6 thought it did wonders for his sore throat and imagine it was a sleep tonic - PERFECT - Master 8 was a bit less loving of the flavour but agreed it had benefits on his sore throat. I loved that it brought back memories from taste and smell of being served ginger beer as a young lass to cure all illnesses and so did hubby. I would add this to cocktails as an extra punch in the flavour, add it to a nice cold drink on a hot hot day and keep it handy for when you want to spice up the "tap" water when friends arrive. 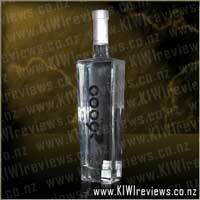 This is a generously sized bottle at 710 ml and will go a long way for a very reasonable price. 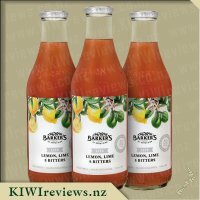 Barker&apos;s continues to put out great products and I am a committed purchaser of those products from jams, marmalades, chutneys and now fruit syrups. Keep up the GREAT work NZ! We thought outside the box once receiving this for review. With everyone in the household being sick, it made perfect sense to try this as a warm drink and on opening the bottle I was transported back to my childhood and helping make ginger beer. I must say, drinking it warm was terrible. The six year old didn&apos;t want plain water to drink so we added a splash to her cold water and it went down a treat, we are getting a ton more water into her without all the sugar in some mixes and we can mix it to her taste (we got about 32 glasses from the bottle). We tried it with lemonade as we didn&apos;t have soda or tonic water with our 12 year old and she was super happy to the point she has asked for a bottle of it for christmas so she can make her own. She has a small addiction to ginger beer and being less sugar, this product is great. We were going to make a ginger syrup for a cake with it, however someone had finished the bottle and our local countdown didn&apos;t have any. The label is great as it is on all barkers products and needed to be shaken before use as the sediment settled on the bottom. From a young age I remember visiting my Granddad and being intrigued by the funny smelling drink he would constantly be drinking. When he told me it was Ginger beer I thought that meant that it was not for children to drink so whenever he offered me some I would always say no. Later on in life I realized this was not the case though hehe. 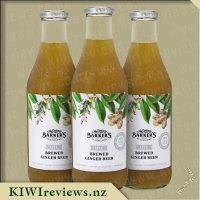 In the past my partner has had some successes and some fails at making Ginger beer at home. I prefer to stick to the stuff I can buy at the supermarket as I found his Ginger beer was too strong for my liking. When I received the bottle in my review box I checked out the label first. I was pleasantly surprised to see that this syrup has 47% less sugar than the Lemon, Honey & Ginger fruit syrup that I am already a fan of. The label is easy to read and I like the illustration at the top it makes it seem more friendly for some reason . Barkers have always been a treasured company in my household and I love how they use quality ingredients to make their products. The label says that this bottle of concentrate can make 25 glasses of Ginger beer. $5.80 for 25 glasses is a bargain in my opinion! Once I opened the bottle I instantly was hit with the aroma of ginger and loved it. When it came to making the Ginger beer I followed the recommendation on the label but I still found it a tad too strong for me, but the flavour was delicious so I added a touch more of soda water and then it was perfect. I found that one glass managed to quench my thirst and that I was happy with just one glass a day. Usually I am a Bundaberg Ginger beer drinker, but I believe that now I will buy this syrup so I can easily make some whenever I feel like it and not feel guilty about the sugar content. 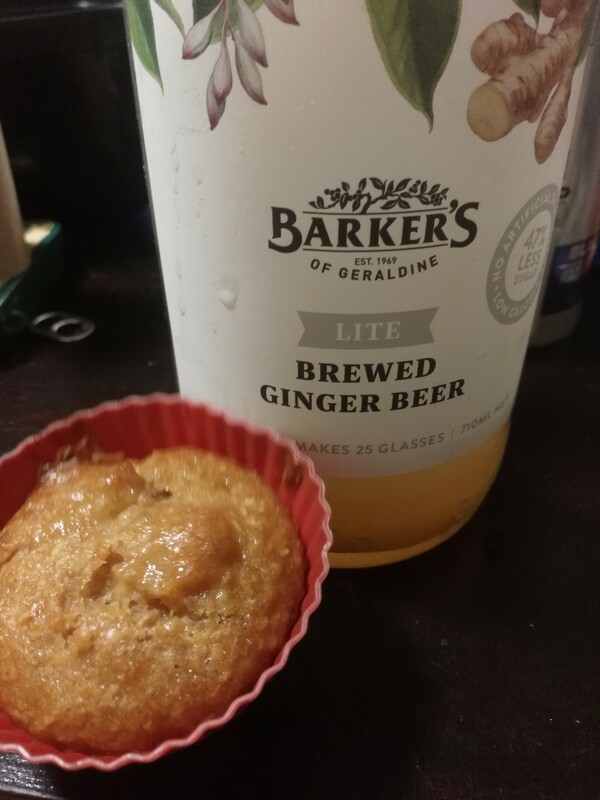 My next mission is to attempt to make some Ginger Spice muffins and I think I will try to incorporate the Barkers Lite Ginger Beer into this...wish me luck hehe. When I saw this was available to review I jumped at the chance seeing it was gluten free and lower in sugar than other fruit syrups. As a Type 1 Diabetic and Coeliac I find their isn&apos;t a great deal of drinks around that cater for these health conditions so I was eager to give it a go. I&apos;m not a big ginger beer drinker, mainly because most aren&apos;t gluten free and in the past have found other ginger beer options a little too strong for me, however seeing this was a fruit syrup that you mix up I thought perhaps been able to make it to suit I would be able to tailor it to my taste likes. The fruit syrup comes in a clear bottle and has what I thought a nice label to it, above the name of the product is a nice design of what I assume is ginger, I found this little addition was nice and not just your usual wording on drinks. Before opening the bottle I noticed there was some ingredients settled at the bottom so I gave it a good shake first to ensure it was all mixed up nicely. Checking the back of the bottle label suggestions say mix 1 part syrup to 6 parts water. Simple and easy to do I opted for water as didn&apos;t have any soda water on hand, so one part syrup, six parts water then gave it a quick stir before placing in fridge to chill. Once chilled I found it to be so refreshing! I have never had ginger beer that isn&apos;t carbonated but I found that it didn&apos;t matter and I really enjoyed the taste was really thirst quenching and not an over powering ginger taste like I have experienced with other ginger beers in the past. I am yet to try it with soda water but I do think it will be just as good with a little fizz depending on what you feel like. I am curious to also mix it with hot water as suggested by my parents, I think this could be rather enjoyable in winter. Overall the price for this syrup is good $5.80 each and only using one part syrup each time you definately get good value for money! I really enjoyed this drink and it is now something I enjoy regularly and will be purchasing again once the bottle is empty. 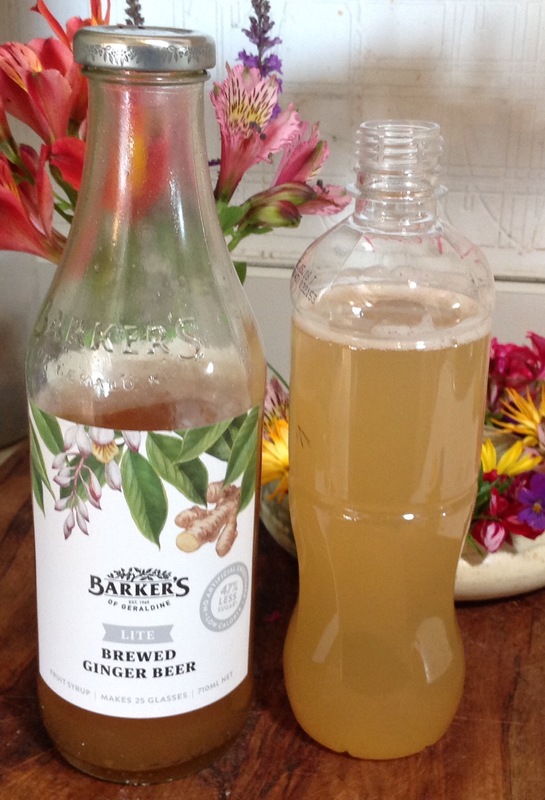 Other members in the household who also enjoy ginger beer agreed that the mix is really good for a syrup and were pleasantly surprised at how good it tasted!! I am such a stickler for sugar these days choosing to not have a lot of sugar in my diet from personal health scares and trying to cut down the amount of sugar my children consume. As such we do not really get a lot of juice or soft drinks. I really liked how this juice syrup was a lot lower in sugar than a lot of other cordials on the market and lower in sugar in fact than other barkers non lite products it is definitely a better option for me and my family. 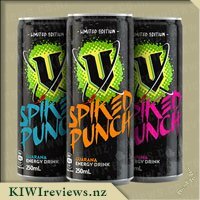 The taste is very nice and definitely has that ginger beer flavour to it without the fizz. 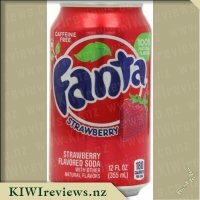 I find you only have to add a tiny bit of juice to add a nice amount of flavour as being someone who deosnt have a lot of sweetened drinks I can pick up on a nice sweet flavour without adding a lot of syrup. Because of this the bottle will last my family a lot longer than what is suggested on the bottle. It will be great value for money for us as the bottle will make a great fridge companion for those days you want something sweet. My son opts to have it with lightly sparkling spring water so it is like a proper fizzy drink. 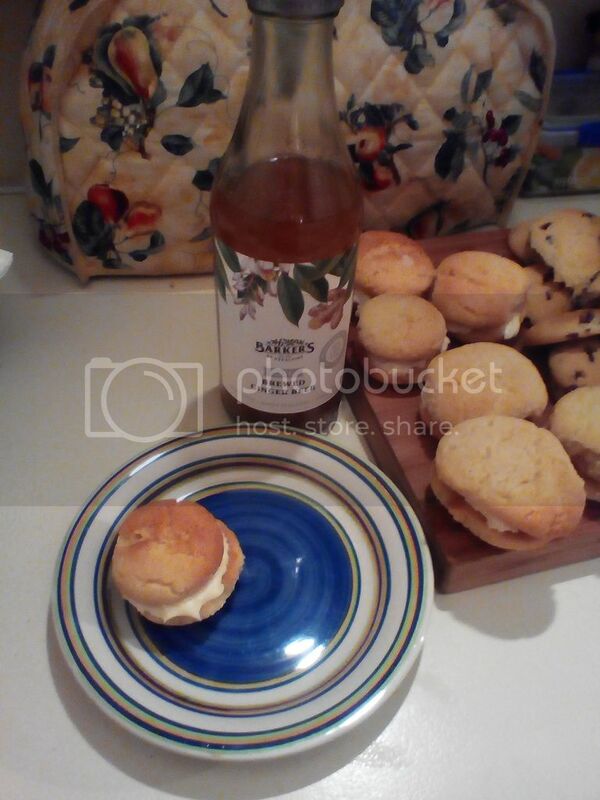 I had a huge baking day getting prepared for the school week and my son had requested melting moments, when I made the butter cream filling I decided to experiment with the ginger beer syrup by adding it to the ingredients it gave the butter cream a very subtle ginger flavour that worked very well. My 5 year old declared they are like proper ginger kisses mum i&apos;ll take that thanks. I actually thought they were nicer than ginger kisses as the flavour was a lot more subtle than adding ground ginger. 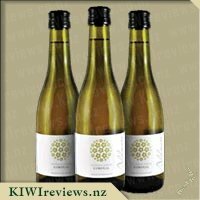 I love this product and will definitely buy again once our bottle is empty at such a great price it really is a good buy for a budget savvy mum! I love ginger beer, I grew up having it as a treat when going to my grandparents (there was nothing better than my grandpa popping open a bottle to share with me) and have continued to enjoy ginger beer throughout the years. My kids were introduced to Bundeberg last Christmas with their spiced ginger beer but hadn&apos;t tried generic ginger beer yet, I myself have had to lessen the amount I drink as it gives me whopping acid burn but I want to drink some again so this was great to try and see if it was any good for me. Opening it up, you can definitely smell the ginger, there&apos;s no doubt that&apos;s what you&apos;re getting. I tried this both with soda water and plain old water and have to say that so long as the water is cold, this tastes nice either way. My son did guzzle down a glass and declared, rather loudly, &apos;that&apos;s spicy!! !&apos; and that he&apos;s in no rush to drink it again, my daughters also weren&apos;t too keen, I happily finished off their drinks. I wanted to something a little different with this and so I opted to add it to some muffins. I decided to mix together some cinnamon, ground ginger, carrot, apple and coconut together along with some of this concentrated ginger beer. I made two batches, one of mini muffins in ice cream cones with icing and a lot of average sized muffins. The minis got taken to a shared meal and none were left, so I assume they went down well. My kids devoured one and promptly asked for more, so I don&apos;t see the muffins lasting long at all. I love that I can drink this with no ill side effects and it was a delicious add in to our muffins, I will be getting this again for sure. Ginger beer for me has always brought back lovely childhood memories of my Dad brewing ginger beer downstairs at nights while I sat upstairs watching TV with my Mum, drinking ginger beer that he had brewed earlier. Funnily enough, ginger is a flavour I don&apos;t enjoy too strongly, but ginger beer has always been that exception for me, maybe due to the happy memories it creates. I have tried many different brands of ginger beer over the years and there certainly have been nice ones and ones that aren&apos;t so nice. When the Barker&apos;s lite brewed ginger beer came up for review I was interested in trying it as it is one that I haven&apos;t tried before. I am also very aware of how much sugar can be in certain drinks, so to know that it is lite and has 47% less sugar than one of their full sugar syrups it got a big tick in my book. Upon opening the bottle I got the nice smell of ginger beer and my mind went back to my childhood. It certainly didn&apos;t have a big sweetness smell, which matched the fact that it has been made with natural sweetner rather than too much sugar. Reading the instructions on the bottle I gave it a big shake before I mixed one part syrup to six parts water. I didn&apos;t have soda water, and instead of fizzing some up in the SodaStream I decided just to try it with plain water. The smell was beautiful and I couldn&apos;t wait to try. And I certainly wasn&apos;t disappointed! It is the nice mix of ginger flavour, with a little bit of sweetness. Some drinks that are sweetened naturally can have a funny after taste to them, but this certainly doesn&apos;t. In fact, the flavour that does linger is the ginger taste which is quite pleasant. I did enjoy it with the plain water, and certainly didn&apos;t miss the bubbles of soda water. This is certainly a drink that I would take with me when heading out to visit friends as it is another non-alcoholic beverage I can enjoy. I love ginger beer and have fond memories of having ginger beer brewing in the laundry so that us kids could have our beer along with the adults. Now as a non drinker I often buy a ginger beer if I am at a bar. I have learnt that not all ginger beers are created equal, to the extent that I ask what brands they have before I&apos;ll part with my money. 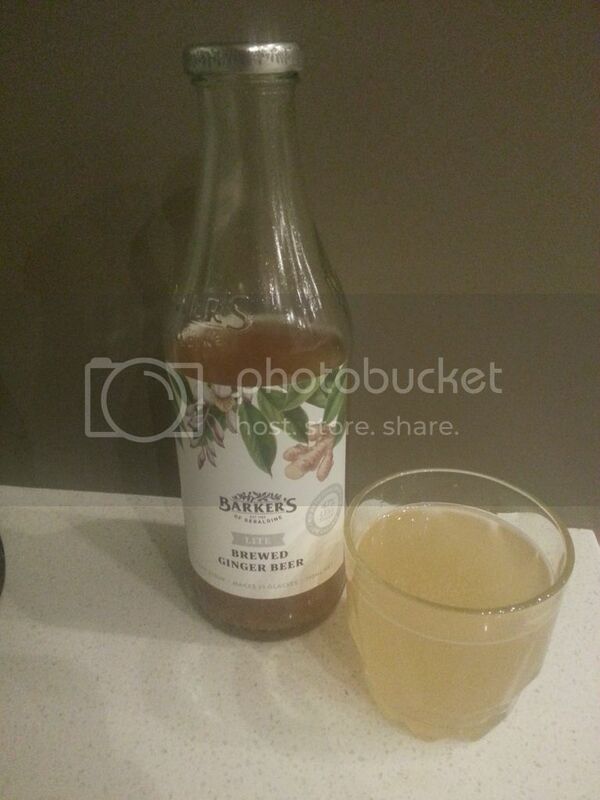 I am a fan of Barker&apos;s syrups so I was excited to try their lite ginger beer. Being a lite drink the first thing I looked at was the ingredients. 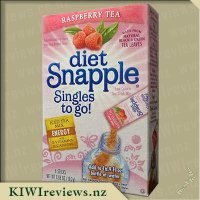 I was pleased to see that it was all natural ingredients and was sweetened with both sugar and stevia. This told me it was going to have a pleasant taste rather than the after taste artificial sweeteners tend to have. I made up some soda water in my Soda Stream machine and poured in some syrup. I t needed a got shake to mix it the sediment at the bottom but that is something we always did with our home brew. I didn&apos;t measure but it was probably around the 1:6 ratio that was suggested. My nearly 7 year old and I both loved the taste of it and had more than one glass. In fact over the last fortnight we have almost finished the syrup bottle. It has a lovely sweet ginger taste. I like how we can control the strength and fizziness of our drink. I have also drunk it with non sparkling water too. I am curious to try it with hot water in winter as I suspect it will make a nice winter warmer. This is a product I would recommend to others and will certainly be keeping in the house so I can have a ginger beer whenever it suits me. With only 4.3 grams of sugar per 100ml, this is definitely a lighter beverage. The directions say the best level of dilution is one part syrup, 6 parts soda water. Soda water I guess makes sense as Ginger Beer is generally a carbonated beverage. But I&apos;ve never really been a fan of soda water. So I did the next best thing. I combined it with something that I already had; Green and Co.&apos;s Cucumber, Mint, & Lime (CM&L). The CM&L drink has lightly carbonated spring water, so it seemed like a good middle ground for me. Even with only around 14% of the beverage being syrup, the ginger flavour is very strong, and has that heat you expect to get from the ginger. Combined with the CM&L, it provided a surprisingly enjoyable buffet of flavours, which would make a great cocktail if one was inclined to add a dash of alcohol (perhaps a white rum or vodka). The 1:6 ratio when preparing the drink felt a bit high for me. Not in regards to flavour, as it worked out great, but more in terms of quantity needed from the bottle. The full sugar varieties from barkers, seem to require far less quantity (I can just add a small splash of the lemon and barley to a full glass of water). So the bottle has a lower number of uses for me, but the price is still good, considering at some places you pay $6+ for a one ginger beer, paying less for multiple (up to 25) drinks will always be great value. 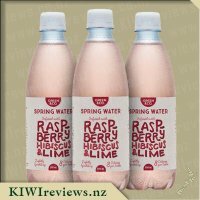 This will be a great addition for those that have SodaStream or SodaSparkle devices, and looking for a low sugar flavouring. There are so many different brands of ginger beer available these days, but none that I have tried so far has ever measured up to the brew my aunt used to make in her wash-house using a "plant" and a lot of other smelly ingredients that fizzled and foamed alarmingly. I was never allowed too close so I never did figure out the process, but I do remember the taste - excitingly exploding in gingery bubbles in my mouth and popping all the way down to my tummy. My cousins and I used to sit on the wash-house step and pretend we were drinking real beer while the adults enjoyed the "hard stuff" - brewed in the same wash-house. I was undecided about trying Barker&apos;s variety. Although I have tried a number of their products, and found them to be of consistently high quality, I did not think it would be possible to make a brew as perfect as my aunt&apos;s, especially when you had to get soda water and go to the trouble of shaking and mixing it as well. I tried a little with some plain water first as we did not have any soda water available, and I was quite disappointed. There again, the instructions DID specify soda water, so I thought I had better carry out the trial properly. Next day, I purchased some bottled soda water and mixed it with some ginger beer mix. None of us could believe how good it was. It tasted authentic, it had just the right balance between bubbles and smoothness, and because it was a diet version it was not too sweet. Heaven! The really good thing was that all of us enjoyed it. There were five adults in my "test crew", including myself, and not one of us could fault it. My 22-year-old cousin, who is a beer drinker, said he would gladly drink it instead - especially if he is driving - as it is just as satisfying as a good lager. His girlfriend commented that it had a really full flavour. Another friend, who loves ginger beer and has read some of my reviews, said I had to refer to her as Ms 57 because I always refer to my younger testers in that way. She said she wanted to be identified by age too because she thought it would confirm that the drink would appeal to a wide range of ages, not just to younger people. We used an empty water bottle to mix it so that the lid could be replaced (assuming that there would be any left). This proved to be a great way to store it because the mixture kept its fizz. Some soft drinks go flat very quickly, even when capped; I can confirm that this was not the case with this drink. In fact, Ms 57 left some in the car in the heat, remembered it after three days and a 400 km journey, took it back into the house and put it in the fridge, and it was as good as new when she tried it later that evening. I am going to buy more of this for summer parties. I think it will appeal to anyone who is a ginger beer or ginger ale drinker, and I can also see it as being a useful mixer (when first combined with soda) for some spirits. I am so glad that I asked to test it as I might not have bought it otherwise, and that would be a pity. I am looking forward to a long, hot summer and the clink of ice in my glass as I sip my ginger beer. Hopefully any guests I invite around will leave some for me! Ginger Beer isn&apos;t something I drink a lot of us, except for when I was pregnant in which case ginger seemed to be the only thing I could stomach! Although i&apos;m not the biggest drinker of Ginger Beer myself I have a lot of family members who absolutely love the stuff, so decided to request this for review so that we could all try it out as I thought it may be a good option to have at home in the fridge for when they visit. 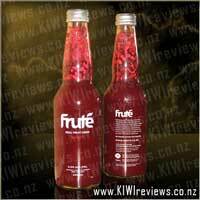 The fruit syrup comes in an attractive tall glass bottle with a nice eye catching label that is clean and not overwhelming. The bottle was easy to open and to pour liquid from and I love that you are able to see through the glass bottle as it allows you to know how much syrup you have left so you know when you are running low. The first thing I noticed about the syrup itself is that it contains a lot of cloudy sediment at the bottom of the bottle, however with a few good shakes this mixes well into the other liquid, the back of the label also suggests to shake this before use due to this reason. My partner&apos;s parents who are huge drinker&apos;s of Ginger Beer were coming around for dinner and so I decided to prepare some of the syrup in advance so that I could have it chilling in the fridge ready to serve. To make up the drink was super quick and easy to do, I simply added 1 part of the Barker&apos;s syrup to 6 parts of soda water and gave it a stir. I served this up in glasses over ice and presented it to our visitors, the first question before even trying it was "what is this?" 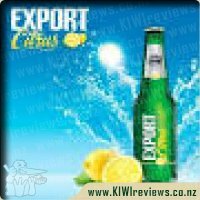 when I replied Ginger Beer they were quick to give it a sip, the reactions and comments were positive and ranged from "this is really nice Ginger Beer", to "what brand is this?". Showing them the bottle they were most surprised that I had actually mixed up the drink myself with soda water as they were expecting that it had come out of a premixed bottle. Right then and there my Mother In Law was saying she needed to buy some and she was excited about the fact that she could make her drink even more flavoursome by adding as much syrup as she needed, she did admit though that the suggested strength was fine however! I loved that this Ginger Beer is able to adapted to suit your own tastes, although it is great just as suggested. It has a very subtle and distinct ginger taste to it which I just loved, it didn&apos;t taste to strong or artificial which I really liked. 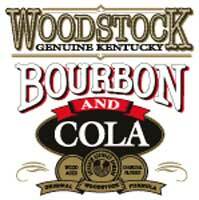 It left you with a refreshed feeling after drinking it and had a dry finish to it, not a sickly sweet one. This is great obviously served as a classic Ginger Beer drink, but I imagine it would go great in a punch, or mixed with alcohol such as Vodka. As I love to experiment with the review products I receive I decided to take this one step further than just as a drink and added it to a Ginger Crunch I was making in place of powdered ground ginger. The syrup mixed in perfectly in both the base and the topping, although I did find that a little tweaking of the dry ingredients was needed due to the added volume of liquid. The flavours of the ginger really came through and I really enjoyed the results as did my partner and Miss 3. 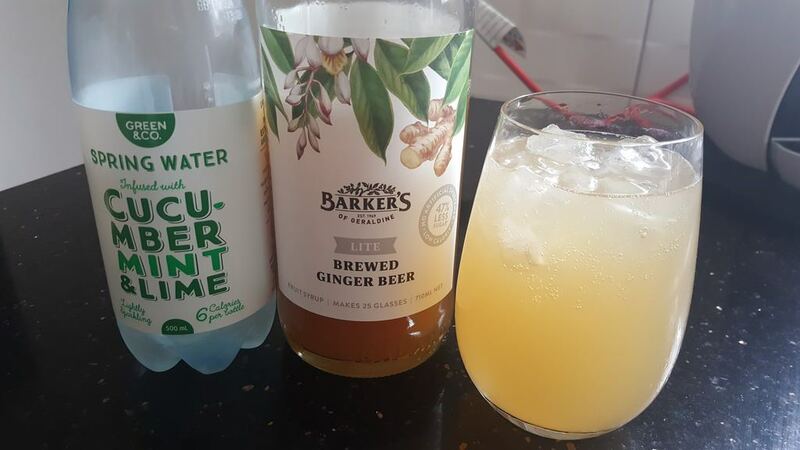 Another great product from Barkers, and one worth trying out if you&apos;re a fan of Ginger Beer, which I&apos;m sure you will find also works out to be a whole lot cheaper than buying it premixed. Pinky/gold salmon coloured with a subtle strawberry aroma, intermingled with an underlying yeasty, toasty bouquet. 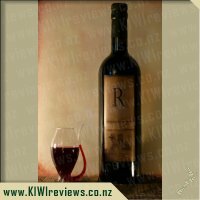 A careful blending of the base wines has resulted in a full palate with an elegant finesse. 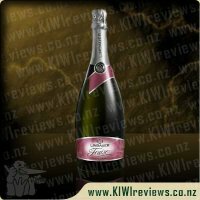 The wine has a hint of sweetness which complements the subtle, lingering taste of strawberries.